MOSCOW, February 10. /TASS/. Twenty seven Russian children, whose mothers are serving prison terms in Iraq, have returned to Russia, a spokesman with the Emergencies Ministry told TASS. 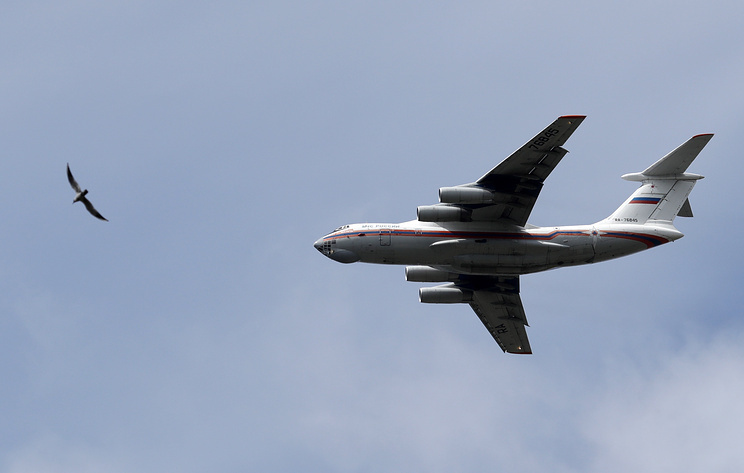 "The IL-76 plane of the Russian Emergencies Ministry arrived from Baghdad at the Ramenskoye Airport with 27 Russian children aged from 4 to 13 years onboard," the spokesman said. According to the ministry, the children had a good flight, they were accompanied by rescuers, pediatricians and psychologists. Earlier, an official with the press service of the Presidential Commissioner for the Rights of the Child Anna Kuznetsova told TASS that children from 10 regions of Russia would be brought to Moscow from Baghdad. The official added that the children will be taken to the National Medical Research Center for Children's Health. There they will be handed to their relatives and guardians. All the necessary documents for custody are ready. On December 30, the Russian Emergencies Ministry’s flight evacuated 30 Russian children aged between three and 15 years from Iraq. According to Kuznetsova’s press service, an inter-agency commission dealing with the return of children from combat zones has information about 699 underage Russian nationals whose parents took them to the Middle East.